Emergency Dentists USA has the Garland emergency dentist that you need, offering convenient hours to suit your schedule. 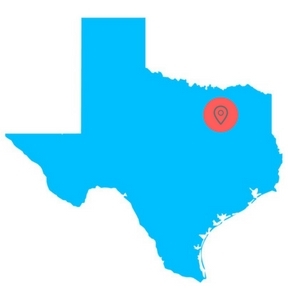 Whether you live in Garland or are visiting for a few days, our convenient listing of emergency dentists makes it simple to choose an excellent emergency dentist with a schedule that suits you. Choose our 24-hour dental hotline to speak with a live operator who can help you to choose an emergency dentist and will even set up your first appointment. The staff at Emergency Dentists USA is very helpful, I am lucky to have found this site right when I needed it most! Emergency Dentists USA is the perfect place to choose a great Garland emergency dentist without the hassle of wandering in an unfamiliar town searching on your own. There are several options available in Garland. The most common is an after-hours clinic, which has extended hours beyond the normal 9 to 5. Visit Comfort Dental or Firewheel Smiles even on a Saturday for an emergency dental appointment. Emergency 24-Hour dental clinics are clinics that are open 24-hours a day and are often attached to a dental university. Garland does not offer this type of dental clinic, but area hospitals have emergency departments with 24-hour a day service for medical and dental emergencies. Emergency Dentists USA has the right Garland emergency dental office for your dental emergency. Simply scroll through our convenient listing of emergency dental clinics below, and choose the dental office with hours or services that suit your needs. You can also speak with a live operator via our 24-hour emergency dental hotline to obtain help in choosing an emergency dentist. Description: One of the worst things about encountering an all-out dental emergency is that your sense of sanity can fly right out the window. The operators on our easy to use hotline understand your stress, and will work for you to assure that you are comfortable and pain free from here on out. Description: Comfort Dental is a Garland Clinic located on NW Highway, that is even open on Saturday from 7:30 till 1:30 PM. This is perfect for those who may have a busier than average schedule, or students that are attending class during those times. Here you can obtain routine services such as cleanings and fillings, or emergency procedures such as an extraction or root canal. Description: Firewheel Smiles is a first-rate dental clinic that has chosen to be open on Saturdays. You can find them here on that day from 9 am until 1 pm, which is excellent for those who have an overly full schedule. It may be an emergency procedure or something like a routine checkup that you are in need of, Firewheel Smiles will get you taken care of right away. Description: Orbit Dental is a first-rate clinic that is here for you and the entire family, located right on George Bush Hwy. They are open on Saturdays from 9 AM until 1 PM, which is fantastic for those with a jam-packed life; they understand that even busy people need dental work too. Description: The folks at Ideal Smiles are here for you and your family if you need anything ranging from standard cleanings on up to a potential extraction. They are also open on Saturdays from 9 AM until 3 PM, which is ideal for those patients who are always on the go. Schedule your appointment now with the well-liked staff at this clinic, and you’ll leave pain and worry-free. Garland emergency dental clinics provide routine dental care like cleanings and x-rays along with more extensive emergency procedures, including tooth repairs. Gather your paperwork, including your dental insurance card and any recent dental x-rays to bring with you to see your Garland emergency dentist. This will help your new dentist to choose a treatment plan that is best for you. Let them know if you have allergies to any medications. Arrive 15 minutes early to facilitate filling out paperwork. This is also a good time to ask any questions that you might have regarding your procedure. You’ll want to make sure that the emergency dentist accepts your preferred payment method. Most dental clinics accept cash, credit cards, personal checks and some even offer a low-interest payment plan for more extensive services. 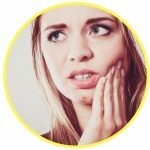 Some of the most common of all dental emergencies include a painful toothache or an abscess. 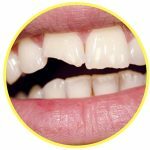 You might also find yourself dealing with a chipped or cracked tooth, a broken tooth or a tooth that has been knocked out completely or experience a tooth that has lost a filling or a loose or lost crown. If you find yourself faced with any of these dental emergencies, get in to see an emergency dentist in the Garland area right away. A loose or lost crown often occurs when a person has a tooth that continues to decay below the crown. You might also lose or loosen a crown if you are chewing very sticky foods like taffy. If you are able to find the crown, rinse it carefully with water and fill the interior with toothpaste or dental cement. You can purchase dental cement over-the-counter at many drugstores or department stores. Place the crown over the tooth to protect the tooth. If you have a broken wire, do not cut the wire the rest of the way off. Instead, use the eraser side of a pencil to push the wire into a more comfortable position. Cover the sharp end of the wire with a cotton ball or a piece of gauze. This will help to protect the soft tissues of the mouth like the cheeks and gums. 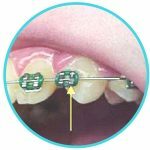 Use orthodontic wax to press your loose braces against the teeth. A chipped or broken tooth is a common dental emergency that can be embarrassing. If you are able to find the chipped or broken portion of the tooth, bring that with you to visit your emergency dentist. Rinse your mouth with water and use a moistened piece of gauze or a moistened tea bag to apply steady pressure to any area that is bleeding. A cold compress can be placed against the outside of the mouth or lips to lessen any pain or swelling in those areas. Situations in which you might require an emergency tooth extraction include having a tooth that has decayed beyond the point where it can be repaired by a dentist. You might also have a tooth that is crowding other teeth in your mouth. In these cases, it is important to have the extraction accomplished quickly to ensure that you do not suffer from pain or complications. Your dentist usually begins the tooth extraction by taking an x-ray and performing an examination of the damaged tooth. He or she then chooses a local or general anesthetic to use so that you remain comfortable during the procedure. A dental tool is used to pull the tooth from the gum or the tooth is broken into pieces and then removed. The gum is stitched closed using a type of suture that dissolves over time. Following your procedure, it is important to follow all of your dentist’s directions carefully and take any medications as prescribed. Avoid eating hard foods or drinking from a straw for the first few days after the extraction. Make sure to avoid drinking alcohol or smoking until the gum is fully healed. A visit to the hospital emergency room is a must if you have a tooth trauma that is caused by a car accident, fall, or a sports injury. In these cases, it is very important to see a medical doctor to ensure that you do not have a concussion or other more dangerous injury. Visiting the hospital emergency room can be quite expensive, and many hospitals do not have the equipment to provide tooth repair services. This means that heading to the hospital emergency room for a terrible toothache is probably not your best plan for treatment. Your Garland emergency dentist is capable of treating any of the common dental emergencies that you might encounter. He or she is trained to handle dental emergencies, has the right equipment available and usually charges less for services than a hospital emergency room. Choosing a new dentist means ensuring that the dentist that you select is properly licensed and certified. You can access the American Dental Association website to check on current licensing for each dentist listed on the Emergency Dentists USA website. You can also get excellent dental information from the Texas Dental Association website that offers local dentist licensing and dental tips for anyone seeking a new dentist.